Unless you live in South Florida, you probably have been feeling a bit of a chill in the air. One of the first things I notice when those winter temperatures hit is my lips get extremely dry and irritated. Thankfully I have my old standby, Carmex lip balm. Carmex has been a household name brand we have known since my oldest was born, and is trusted by my whole family. It is not unusual to find a tube or jar stashed all over our home and in bags, desks, and cars. My personal favorite is the good old fashioned Original Carmex in the tube. I keep one tube in my makeup case, one in my purse, and one on my kitchen counter. You might say that I have an addiction! I really love Carmex products because they are very effective and affordable. I wear a layer under my lip color and apply as needed throughout the day. Aside from the traditional jars, tubes and sticks, Carmex has some other items in their product lineup that are worth checking out. 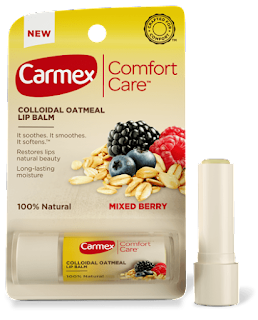 Carmex Comfort Care- A 100% natural blend of soothing colloidal oatmeal, fruit seed oil and mixed berry flavor that helps restore moisture for smoother, healthier, naturally beautiful lips. Over the years, I have given Carmex products as teacher gifts, stocking stuffers, and coworker gifts. I always suggest Carmex for gift-giving because it is so affordable and practical. It is also very well received. 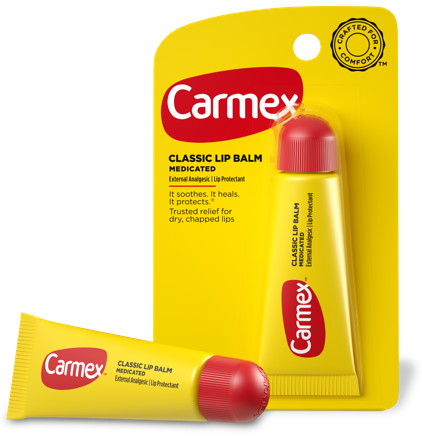 You can find Carmex products in most drug stores, grocery stores, and mass retailers. My local grocery stores almost always have the classic products on sale for just $1! 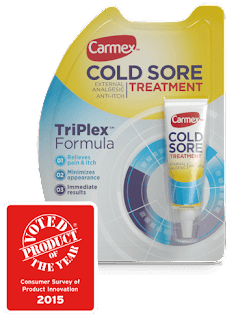 Connect with Carmex on Facebook & Twitter for product updates. This giveaway is open to U.S. Residents only and will end on December 29, 2016. Must follow rules in Rafflecopter. One winner will be chosen randomly. Mom Files is not responsible for any lost or stolen prizes. Good luck! I received product samples for review. All opinions are my own as always.